Its 2019! We here at Habitat for Humanity of Clallam County hope everyone enjoyed their holidays and send our best wishes for a great year ahead. We would like to welcome you to our new Store newsletter, where we hope to provide behind the scenes sneak peeks at what is new and happening at our two Habitat Store locations. Here you will find exclusive news, event info, updates, DIY ideas, featured items, tips and more! 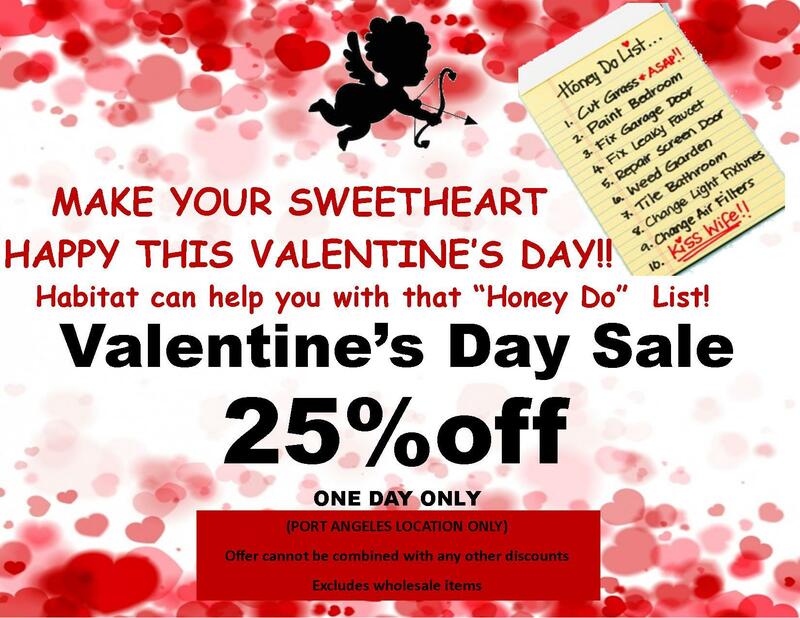 We encourage you to take a look at what both Stores have to offer. Thank you for your interest and support of our mission to provide affordable housing right here in our community. We are thrilled to announce that we now have two locations. 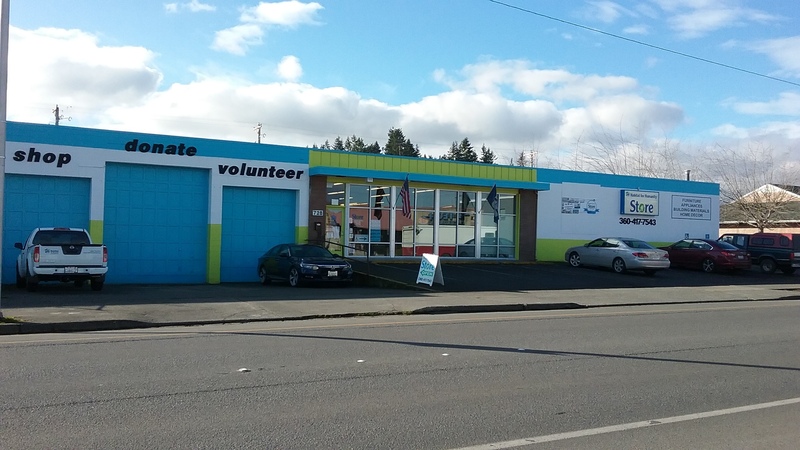 Our existing Port Angeles Habitat Store is located at 728 E. Front St. Port Angeles, WA 98362. Hours of operation for this store are; Tues-Fri 10:00am-5:30pm and Sat 10:00am-5:00pm. This store has a little bit of everything from furniture, appliances, building materials, and tools to home decor. We just celebrated our 10th anniversary for this Store as well as got a fresh coat of paint. We are looking forward to many more years of serving Clallam County. 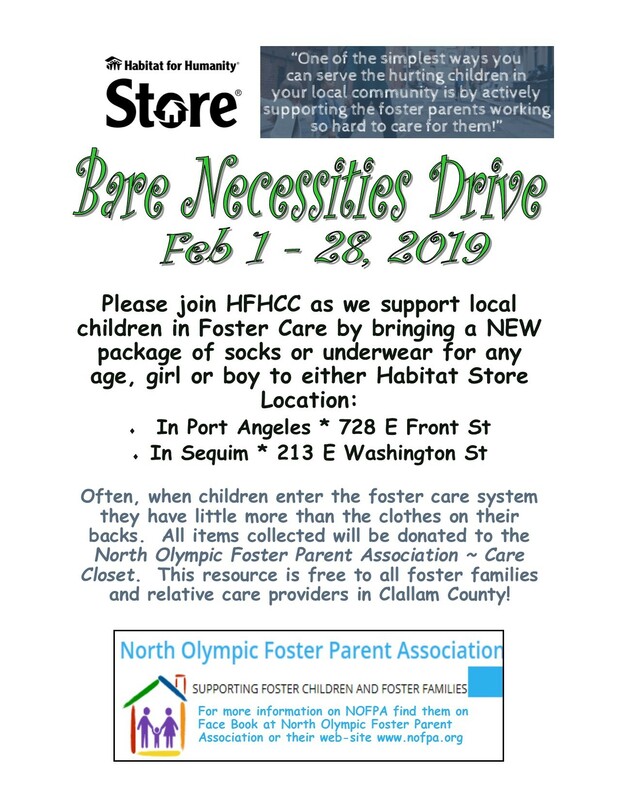 All donations for both Stores will be processed through the Port Angeles location. Please call 360-417-7543 to schedule our pick up service. 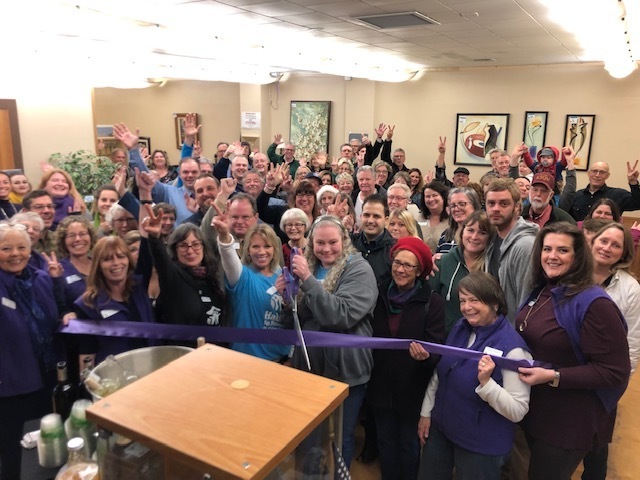 Our newest addition, Habitat Sequim Boutique Store, is located at 213 E. Washington St. Sequim WA, 98382 and can be reached at 360-681-6780. Hours of operation at this location are Thur-Sat 10:00am-5:30pm. This Store has a boutique vibe with finer furnishings, vintage pieces, art, and home decor. We opened the doors of this Store in November and have had a very warm welcome from everybody. Our Sequim location is much smaller than our Port Angeles location and is not equipped to handle any donations, big or small. Please call 360-417-7543 to schedule our pick up service. Bruce is ready to pick up your donations. Whether you live on the West End, downtown Port Angeles or all the way to Blyn, we will come to you! These prices are good at both Habitat Store locations! Sequim Habitat Boutique Store is very pleased and would like to welcome Eric Molina. Eric is joining us as the Supervisor 2. His first day is January 31st, 2019. Eric recently moved from Maui, Hawaii and is new to the Sequim community. He brings with him a wealth of knowledge highlighting volunteering, community outreach, and non-profit experience. If you see Eric around the Store, please make sure to stop, introduce yourself, and welcome him. Thank you Eric for joining our team! We look forward to working with you! 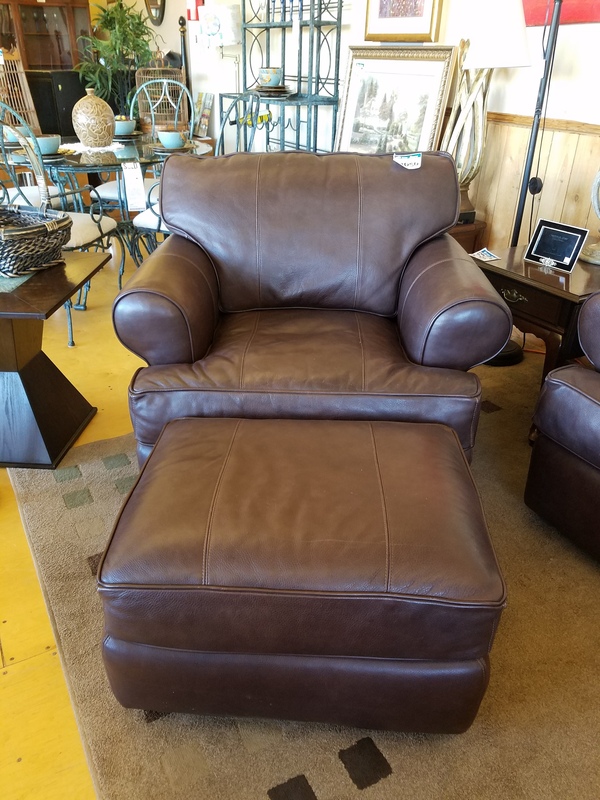 An Arhaus classic. With timeless styling and decadent leather upholstery, the Hadley Collection is designed to frame your space with sophistication and create a cohesive look tailored specifically to your living area. Buttery-soft, aniline-dyed-leather cushions are padded with down and feathers to create sink-into yet supportive seating complemented by a classic silhouette. Craftsman-built by American furniture artisans in North Carolina, this sofa collection’s reinforced, kiln-dried hardwood frames are built to last for years of relaxation. 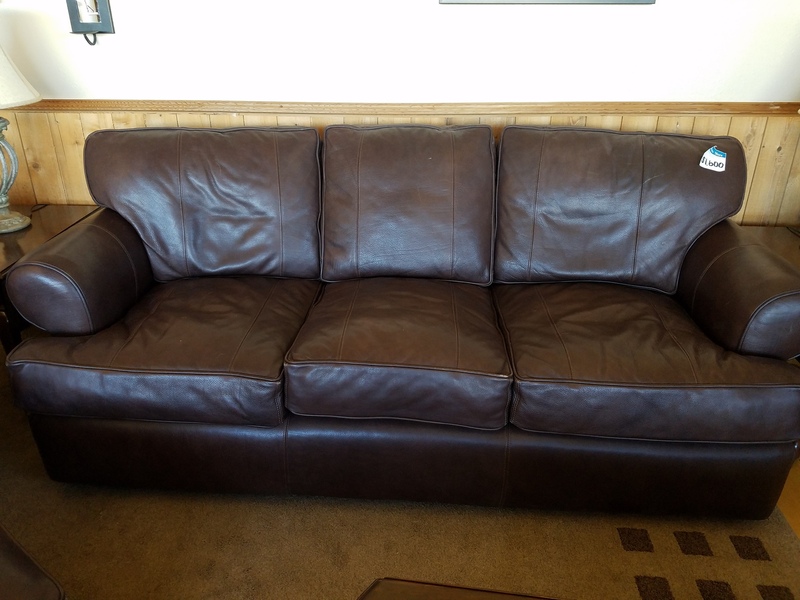 This set includes couch and matching chair with ottoman. 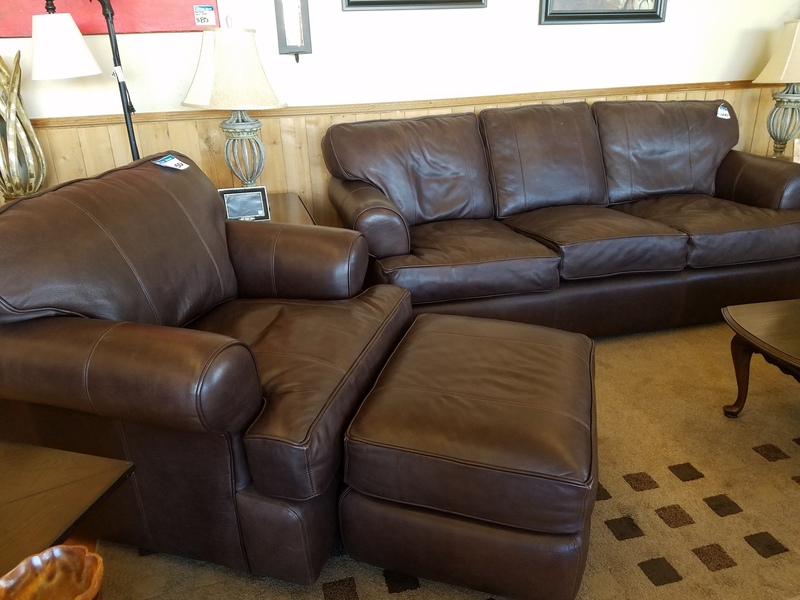 Originally valued at over $8000.00 for the set, Habitat for Humanity can help you own these quality pieces at a fraction of the price. A huge THANK YOU to the City of Port Angeles for awarding us a Facade Grant! 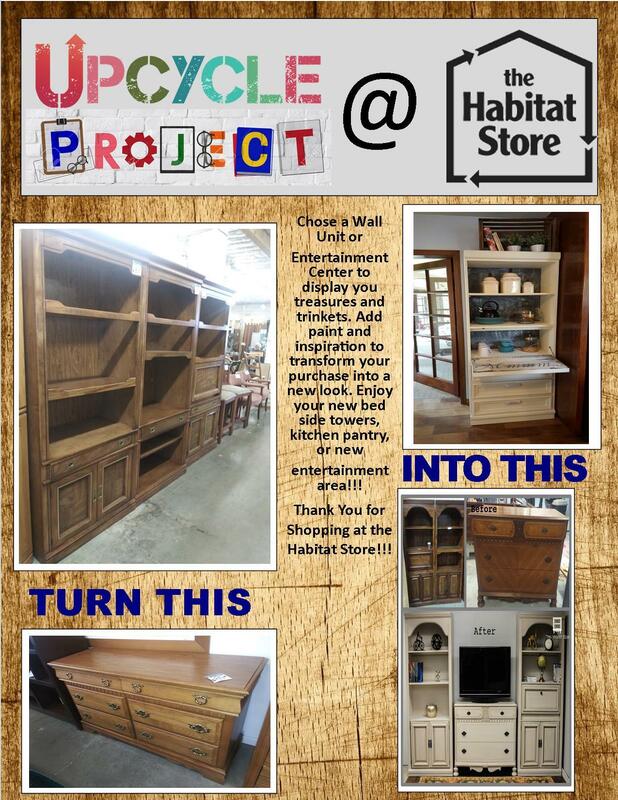 We are so grateful for the fresh, updated look on the Port Angeles Habitat Store. 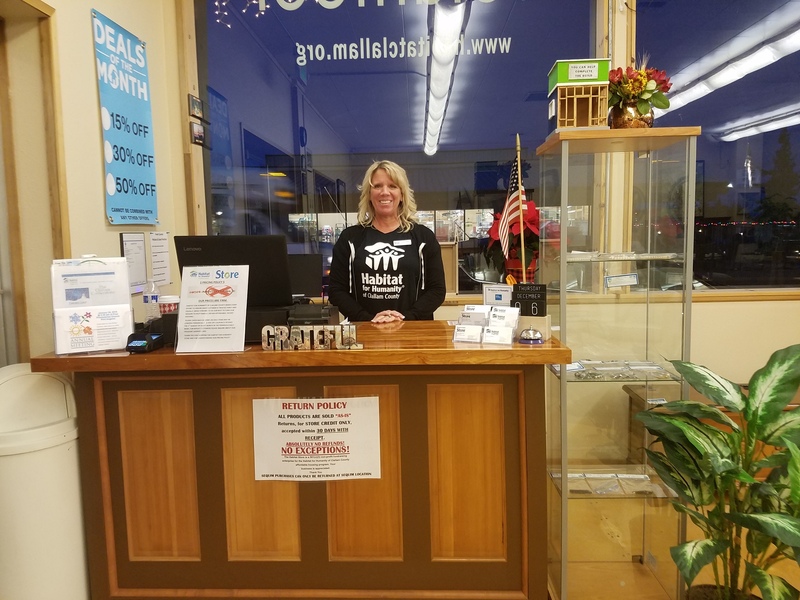 We have 2 new faces at the Habitat Port Angeles Store. Mike Holloway (pictured left) joined Team Habitat on January 15, 2019 for Customer Service/Appliance Repair. He has lived in Port Angeles since the age of 10. Welcome to the team, Mike! 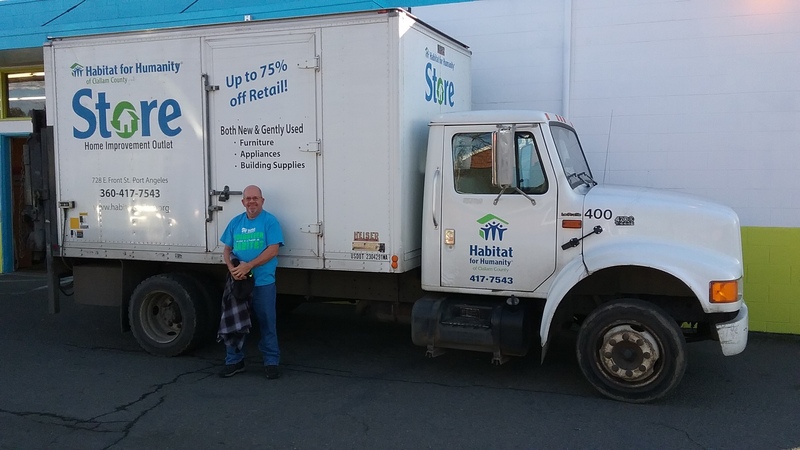 Stan Brannin (pictured right) joined Team Habitat on January 29, 2019 for Customer Service/Truck Assistant. Stan is a native to Port Angeles. Welcome aboard, Stan! Both Mike and Stan bring years of experience and knowledge and we can't wait to see what they contribute to our mission. 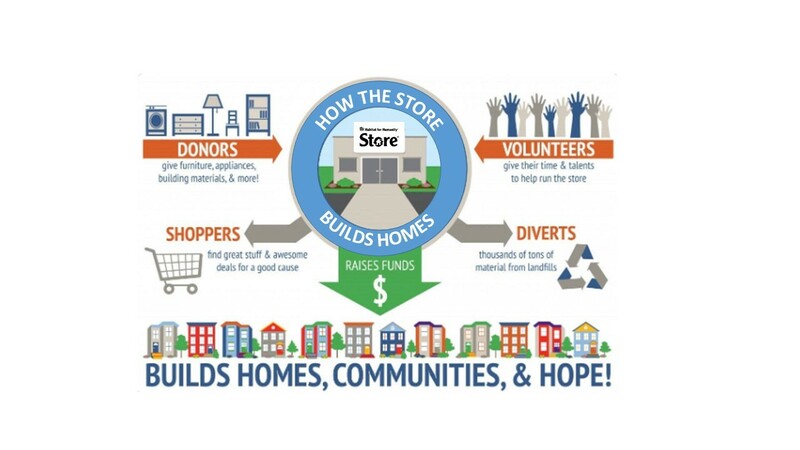 So, if you see them around the Store, be sure to say Hello and welcome them to the Habitat Clallam community. 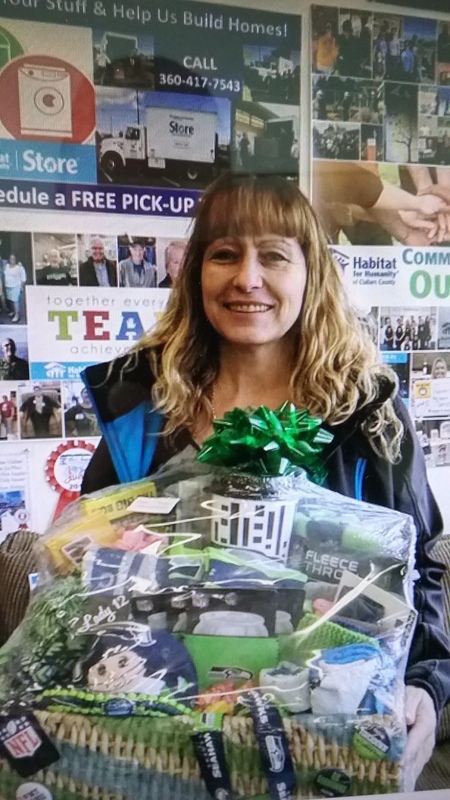 Debbie Tyne was the winner of this year's Seahawks Basket! Thank you to everyone that purchased tickets. We'll see you again next year!